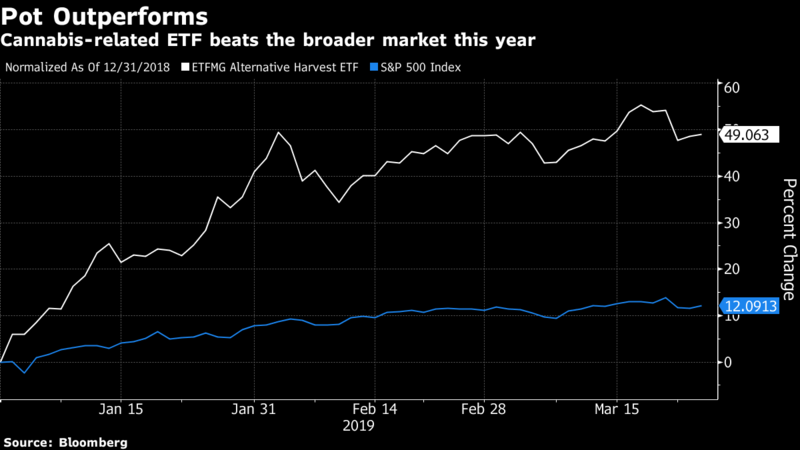 Cannabis-related exchange-traded fund ETFMG Alternative Harvest, ticker MJ, rose as much as 1.2 per cent in Tuesday trading. BI’s global cannabis index gained as much as 2.2 per cent. Cronos Group Inc. was the biggest decliner on Canada’s stock benchmark, tumbling after revenue missed the lowest analyst estimate.